How has this year shaped up so far for agribusiness? Canstar surveys the industry predictions for the second half of the year. Agriculture production is decreasing from recent peaks, shows the latest data from Statistics New Zealand. However, New Zealand export trends show we continue to rely on dairy products, meat, wood, fruit, wine, seafood, and wool among our top 20 commodities (NZ Trade & Enterprise). And as Federated Farmers of New Zealand points out, around 150,000 people are employed in the primary industries including agriculture, forestry, and fishing. Building and supporting our agricultural industry must remain a top priority on a national level. Canstar’s annual Agribusiness Award report analyses the agribusiness products and services offered by New Zealand’s banks to determine which of them are cutting it in their role as key supporters of farming enterprise. Read the report now to see whether you’re getting the backing you need. Every month, Rabobank’s Agribusiness Monthly gives an industry update about agricultural conditions, commodity prices, and commentary on the latest sectoral trends and developments. The April monthly updated, combined with the ANZ Commodity Price Index for May, has shown the following trends for the year so far. Favourable weather in the North Island means milk production is on par with last year, but dry conditions in parts of the South Island would suggest an early end to the season. If you believe Statistics New Zealand, the number of dairy cattle is shrinking and we had nearly 6.4 million dairy cows in June 2015, down by 300,000 from 2014. If you prefer the statistics from DairyNZ, dairy cows are on the rise and there were over 5 million dairy cows in 2015, the first time our herds have grown past 5 million. Global prices have remained low, being at less than half what they were in mid-2013. Prices are expected to remain low throughout 2016 as the EU continues to provide intervention support for other sources of dairy products. Prices for dairy have been under pressure as inventories grow in the Northern Hemisphere, especially for butter, cheese and casein, says ANZ Bank Agri-Economist Con Williams. For example, the USA is experiencing 10-year highs in their cheese inventory levels. Butter and casein prices have both dropped more than 5% and prices for cheese have dropped 1%. However, global prices for dairy products are expected to increase in 2017, as production lessens and global demand continues at the same level. One source of optimism is that milk powder prices have shown some improvement from low levels at recent GlobalDairyTrade auctions, say ANZ economists. Whole milk powder prices rose 0.7% overnight at the auction. Kiwifruit growers struck by the Psa vine disease have offered advice to dairy farmers hit by lowered prices. Ian Greaves, kiwifruit industry representative, says one key is to focus on looking after people. Zespri chief operating officer Simon Limmer says the kiwifruit industry’s response to their crisis was broad-ranging and involved taking decisive action to contain the risk and develop a recovery plan. Over 700 dairy farmers will hear more on surviving the current climate at the two-day Farmers’ Forum at Mystery Creek Events Centre, Hamilton (May 17-18). Farmgate prices have remained stable so far in 2016. Prices for steer are up on last year, while prices for cows are down due to demand from the USA slowing and an increase in dairy-related cow slaughter. Prices for beef are down 2.8% according to ANZ economists. Total cattle slaughter and export is still around 8% below last year’s volumes. It is expected that Australia’s cattle herd will begin rebuilding in 2016 after three years of drought, which would increase production and lower prices. Exports have increased but prices are down, especially in China, where we saw a 26% fall in prices. Lamb prices in the South Island have flatlined as at the middle of April at $4.65/kg cwt, 8% lower than last year. Prices in the North average $4.95/kg cwt, 4% lower than last year. However, the ANZ Commodity Price Index for April shows some promising recovery ahead for lamb, with prices rising by 0.9% already as herds shrink. Experts expect to see 1.5 million fewer lambs in the paddock this year at the start of the season. As at June 2015, the number of sheep was already down to 29.5 million, down by 300,000 from 2014 (Statistics New Zealand). Therefore, lamb slaughter is expected to decline by 5% in the North and 10% in the South over 2016. Compared to the more than 40 million sheep we had in 2006, the national herd is simply smaller than it used to be. We saw pricing peaks earlier in the season and prices have remained strong, 13% above the 5-year average. The 2016 season’s clearance rate sits at 89%, which is higher than last year. Wine exports have increased in volume by 8% to 213.7 million litres, and prices have increased 14% to $1.5 billion FOB. Prices are expected to rise further in 2016 thanks to the popularity of the Marlborough sauvignon blanc. The USA continues to be the fastest-growing market for New Zealand’s wine exports. Early expectations are for a solid 2016 harvest, larger than the 2015 short crop but not quite as large as the 2014 bumper crop. Kiwi fruit growers had an outstanding year for growth in 2015, and fruit exports broke through the $2 billion mark for the first time thanks to kiwifruit and apple crops doing well. So far, 2016 is showing high demand for the smaller crop of avocadoes harvested, which is good. After unsettled weather and damaging storms in Nelson, a dry summer has contributed to a good result for 2016 so far. The global market will show increased competitiveness as Chile returns to normal fruit production levels. Below-trend demand leads Rabobank to expect ongoing weakness in global fertiliser sales. Global benchmark fertiliser prices are likely to remain subdued through 2016, as they have begun the year at their lowest prices in 5 years. The market remains volatile. USA’s production is rapidly decreasing, bringing prices for crude oil up. This will increase the costs of distributing almost all of New Zealand’s agricultural exports. However, there are some expectations that the market will stabilise and rebalance in late 2016, bringing prices back under control. As the New Zealand dollar continues to weaken against the USD, this provides a helpful tailwind for our agriculture because it makes us an attractive proposition for overseas bodies wanting to buy our exports. El Niño is forecast to dissipate, and the possibility of La Niña conditions bodes well for New Zealand agriculture. Crops in New Zealand would benefit from higher prices and increased demand, as a La Niña would likely cause dry corn and soybean crops in the USA. China remains centre stage in 2016, as their falling growth has major consequences for New Zealand’s exports. China is #2 in our list of top 20 export countries (NZTE). The cost of oil remains high, keeping the pressure on the cost of distribution for agricultural commodities. 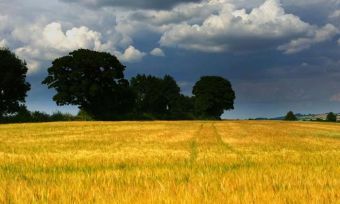 Volatility in the global financial market witnessed so far in 2016 indicates food and agricultural producers should brace themselves against the very real risk of an economic downturn. The National Institute of Water and Atmospheric Research (NIWA, Taihoro Nukurangi) predicts a 50-60% chance that temperatures will rise above average until June. The West Coast can expect above average rainfall and above average soil moisture levels. Winter this year could see below normal soil moisture levels in the North Island and the east of the South Island. The Australian Bureau of Meteorology (BOM) says the climate in 2016 is a bit of a coin toss, with a 50% likelihood of a La Niña developing later in the year. This would cause dry and warm temperatures in the USA and South America, increasing the demand for New Zealand crops. ANZ’s April 2016 Business Outlook report showed the agriculture sector had the most pessimistic outlook of all business industries. In fact, agriculture is so far the only sector to predict weaker earnings in 2016. More than a quarter of farmers (27%) said they think the economy will deteriorate over the coming year into 2017, and just 6% expect their own activity to improve. 16% percent intend to pull back on livestock investment, and 18% say they anticipate their profits will be less than last year. The dairy downturn hasn’t affected the big banks’ desire to invest in agriculture. In May 2016, Westpac New Zealand says it aims to lift its agribusiness lending from its current market share of 12.6% to 20%. Westpac’s agribusiness lending portfolio totals $8.1 billion, up from $7.3 billion last year. Surprisingly, the dairy sector still accounts for two thirds of their lending. Westpac remains underweight in agribusiness lending. While ANZ takes first place as New Zealand’s largest agricultural lender and BNZ follows in second place, Westpac sits in fifth place. When asked why the bank wants to lend more to agriculture during a downturn in the dairy sector and a time of low global prices, CEO David McLean says this is the best time to write loans. The percentage of agri-loans that are graded as “stressed” loans has risen to 7.81% in April 2016, from just 3.92% in September 2015. “Impaired” graded loans have decreased slightly to 0.32%, though, showing recovery in some of the toughest parts of the market. In real terms, this means $9 million in impaired loans now, compared to $31 million a year ago. Westpac CEO McLean says he expects losses and impaired loans to “tick up a bit” in the second half of 2016. A third season of low payouts may mean some farmers’ businesses do not survive to see 2017. However, he was still optimistic. 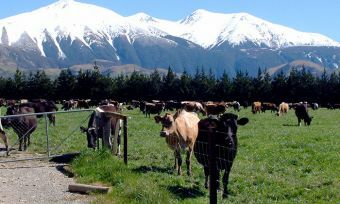 “New Zealand farmers are very resilient and have a great capacity to adjust their cost of doing business down,” he said. Margins on business loans have tightened this year, as competition increases for new loans and banks shift to lower spread fixed mortgages. At Westpac, net interest margins fell 8 basis points to 2.15 percentage points. At the end of 2015, KPMG surveyed emerging and existing agribusiness leaders about their priorities for the coming year (Agribusiness Agenda 2015:2). Not surprisingly, those who are already successful in the market had different priorities to those who are currently entering the market and looking for ways to improve it. As you can see, our leaders agreed on maintaining world class biosecurity, clear market signals, and high quality trade agreements. However, emerging leaders put a much higher emphasis on innovation, while existing leaders did not consider it among their top goals. Perhaps when facing the challenges industry experts are facing for 2016, existing leaders will begin to see the value in trying new methods rather than farming “the way it’s always been done”. In 2016, Canstar has researched and rated five different providers of agribusiness solutions in New Zealand. 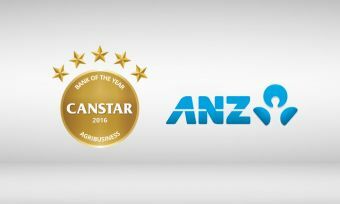 You can compare agribusiness banks with our report for the 2016 Canstar Award for Bank of the Year – Agribusiness.